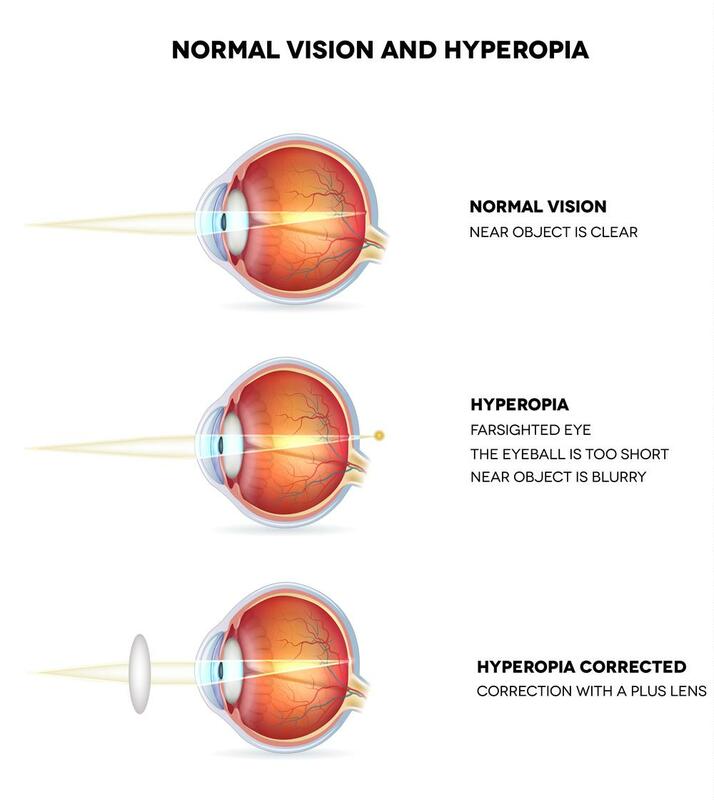 Hyperopia, commonly called longsightedness, is a condition in which the optical components of the eye are not strong enough, generally because the eye is too short, causing light to be focused behind the retina. This results in blurred vision that is usually worse at shorter distances. The perfect state of focusing exactly on the retina is unusual; the average person is a little hyperopic. There are multiple management options that can halt the progression of hyperopia. 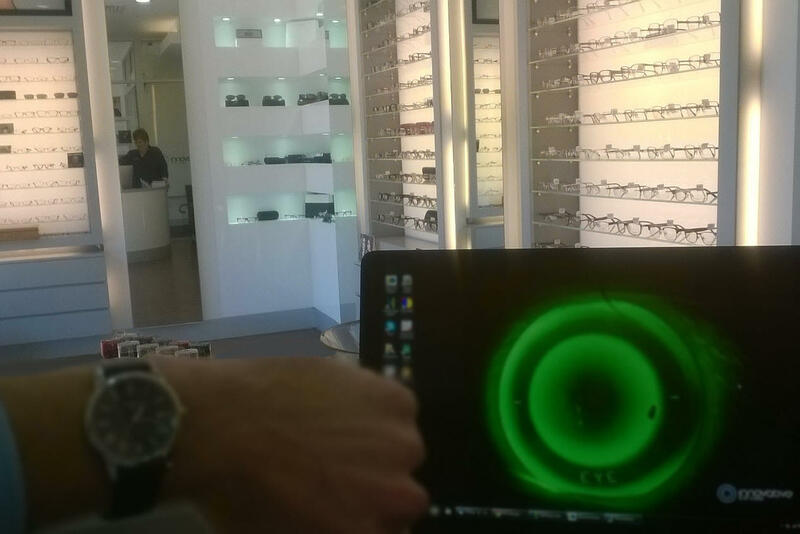 Contact us or book an appointment to find out more about your candidacy for hyperopia control. People with hyperopia often have reasonable vision in the distance, but may find that during near work, such as reading, they experience eye strain or headaches. A little hyperopia is not a problem because the eye lens usually compensates easily. However, if there is a significant amount of hyperopia, the effort of focusing (called accommodation) can cause problematic symptoms. A hyperopic person can have normal vision but the greater the hyperopia, the harder it is to focus. Vision may become blurry, especially for close objects. Hyperopic people may get tired eyes or headaches after a long period of visual work, even if their vision is clear. Reading is more difficult and school work can be affected. Hyperopia is often thought to be hereditary, but there is no consensus on a definite cause. The eyeball may be a little smaller than average, which causes light to be focused behind the retina. It tends to increase, but not always. We all find it harder to focus on close objects as we get older. This is called presbyopia and tends to affects patients in their forties. Hyperopes may have trouble sooner and require reading spectacles earlier. Because a hyperopic person can often see well in the distance, a letter chart test alone may not detect hyperopia. Special tests, including retinoscopy and refraction, can be used in combination to determine if hyperopia is present. What can we do about hyperopia? The optometrist has many things to consider when making a decision, and symptoms are very important. In general, young people who are slightly hyperopic do not have problems. If they do, they may benefit from eye exercises or need spectacles, mainly for close work such as reading and using computers. Older people, or young people with significant hyperopia, often have problems because focusing requires much effort. Their vision is more likely to be blurred, especially for close objects. They usually need spectacles, contact lenses or orthokeratology for reading and sometimes for distance vision as well. In some cases refractive surgery can be used to correct hyperopia.